Do: Read up on their protocols and customs. Don’t: Call the Queen Mother Granny or Home Dawg. Do: Respect that royal’s privacy. Do: Ask how much they want the public to know. Don’t: Purchase shirts that say, “I’m dating Prince Yummy” with an arrow pointing next to you. Do: Avoid answering media questions when at all possible. Don’t: Have a gab fest with the editor of a gossip magazine, where you dish about how your new huggy-bear likes to brush his teeth in the buff. Do: Always act appropriate in public. Don’t: Wear cut off shorts for tea with the Queen or a mini skirt to a state function. Do: Make sure your friends don’t feel neglected. Don’t: Send out emails telling your friends that you’re too good for them now that you’re dating a prince. Do: Make time for just the two of you. Watch movies, picnic, or go cook together. Keep it real. Don’t: Schedule every date in the public eye. Do: Make sure they know you’re thinking about them when gone on business trips. Do: Take the time to get to know their family, not just their public personas. Don’t: Send them chain letters asking their favorite color. Don’t: Forget why he/she fell for you. Do: Let them know that you would be with them even if they weren’t royalty. Don’t: Date them just because you want to be a princess. Hehe, call the queen home dawg! That must be funny if it really happened in the story. I haven't really heard of this, but I think I'm going to love it for a summer read. 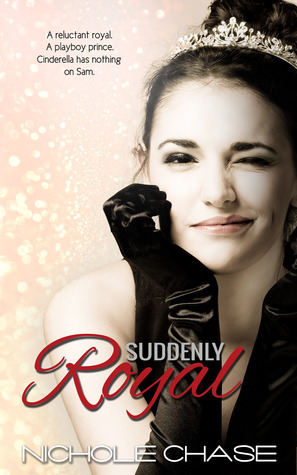 I love when books turn their protagonists upside down and take them out of their comfort zone (especially when it involves something royal), so this looks like a fun read! It sounds like a fun story, and it has a cute cover. This looks like the perfect summer book - light, romantic and fun! Thanks for this amazing giveaway - I would love to win!